Phil Pringle has often tried to dis-associate himself from the prosperity movement. 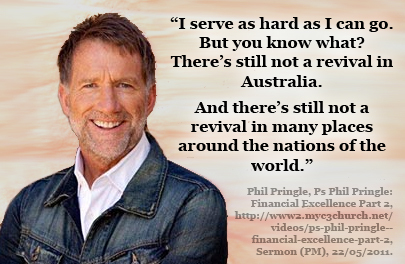 Many people see Phil Pringle and his C3 Movement to be of the Word of Faith and Prosperity movement. With this in mind, this article points out Phil Pringle is a prosperity teacher and that his movement is part of the prosperity movement. 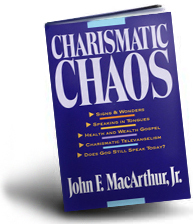 ‘Prosperity doctrine’, ‘positive confession theology’, ‘faith-formula theology’. 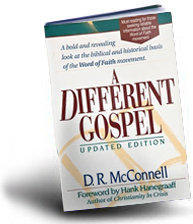 These are some of the terms used to describe a relatively new system of theology that has emerged from the Word of Faith movement, also called the Faith movement or the Word movement, that began in the nineteenth century and after its rise in the twentieth century has reached wide-spread influence within the Pentecostal movement and beyond. Prosperity theology is also strongly associated with the Divine Healing movement. Accordingly, there is available for the Christian supernatural blessing for their complete prosperity. ‘Prosperity’ is broad, encompassing all of life, including blessing mentally, physically, financially and socially. And it is immediately available for all Christians who follow the ‘laws of prosperity’ outlined in God’s Word, the Bible. This view also stems from a belief that a Christian’s inward and spiritual transformation will naturally result in an outward working that takes effect in every area of life. God’s blessing for Christians who lay hold of it is victory and overcoming in every sphere. Generosity is encouraged as a key to financial prosperity, however such giving must be faith-filled to have a positive effect. The essential law of prosperity is the power that resides in the spoken word which will always precede from faith. Prosperity leaders and teachers would urge, ‘don’t pray the problem; speak the solution.’ ‘If you honour God, he will honour you’, in your business, your body, your exams. 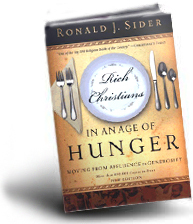 God’s goal for every Christian is success and abundance in all its forms. 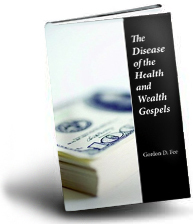 The logical endpoint of this doctrine is what some Pentecostals insist: God’s ultimate goal for Christians is constant health, wealth and happiness. Where they fail to achieve this divine healing is a matter of expectation. 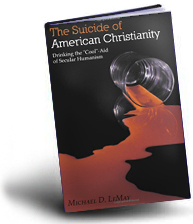 However, God’s desire for Christians is that they do not suffer at all. This teaching insists that it is never God’s will for physical disorder or discomfort for any of his children, ever. 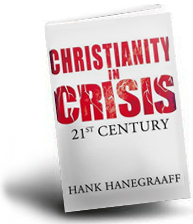 For them, suffering occurs for Christians because of personal sin, even involving a simple lack of faith in God’s will to protect them from harm. In Australia the growth of the prosperity movement, particularly within Pentecostalism, is largely attributed to the influence of the movement in America. 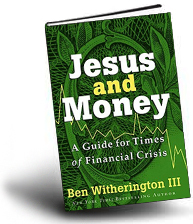 Key leaders within Australian Pentecostalism have embraced the prosperity message in recent times, such as Brian Houston, who wrote You need more money (1999), urging readers to discover God’s “amazing financial plan” for their lives. Phil Pringle, another Pentecostal leader who is a key proponent of the prosperity gospel, wrote Keys to Financial Excellence, explaining how Christians could achieve financial success and freedom for themselves through the Biblical principles of prosperity. What are the origins of the Prosperity doctrine? 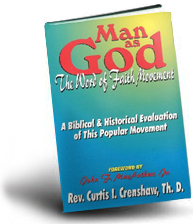 How far do the roots of Positive Confession theology go back and how has the Word of Faith movement developed over time to result in the current emphasis on abundant and prosperous living within Pentecostalism? This will be the topic of articles coming up. John W. Wyckoff (Ph.D., Professor of Bible and Theology, Chair, Church Ministries Division at Southwestern Assemblies of God College), Systematic Theology, Chapter 13 “The Baptism in the Holy Spirit”, Logion Press, 1995, p. 454. 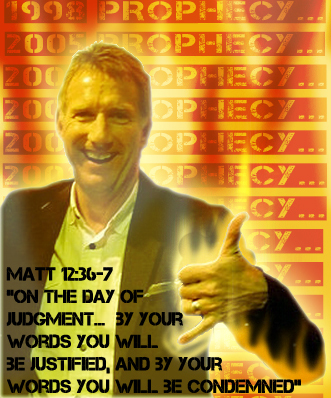 Some have expressed their concern that C3 Church Watch is using outdated material of Phil Pringle. Phil Pringle still endorses his books that we quote from. 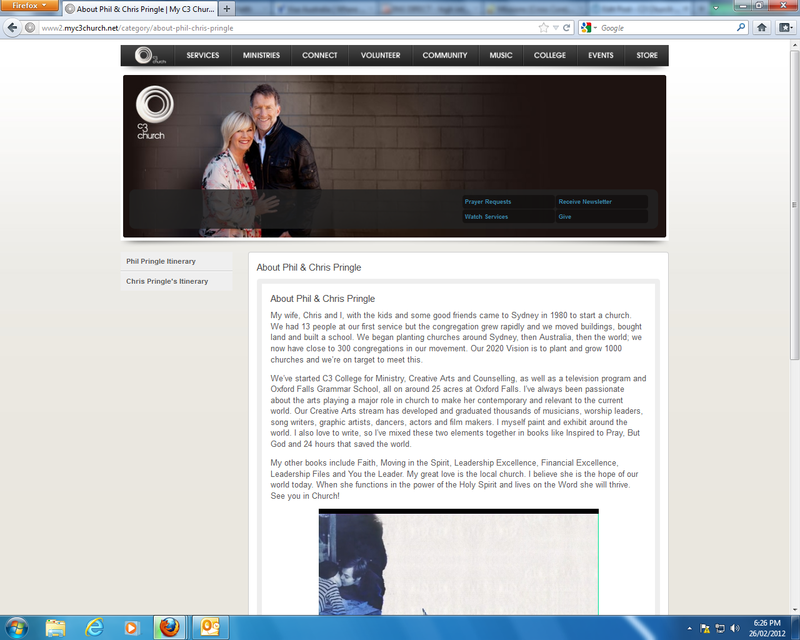 This blurb is from their own website: http://www2.myc3church.net/category/about-phil-chris-pringle. My wife, Chris and I, with the kids and some good friends came to Sydney in 1980 to start a church. We had 13 people at our first service but the congregation grew rapidly and we moved buildings, bought land and built a school. We began planting churches around Sydney, then Australia, then the world; we now have close to 300 congregations in our movement. Our 2020 Vision is to plant and grow 1000 churches and we’re on target to meet this. We’ve started C3 College for Ministry, Creative Arts and Counselling, as well as a television program and Oxford Falls Grammar School, all on around 25 acres at Oxford Falls. I’ve always been passionate about the arts playing a major role in church to make her contemporary and relevant to the current world. Our Creative Arts stream has developed and graduated thousands of musicians, worship leaders, song writers, graphic artists, dancers, actors and film makers. I myself paint and exhibit around the world. I also love to write, so I’ve mixed these two elements together in books like Inspired to Pray, But God and 24 hours that saved the world. My other books include Faith, Moving in the Spirit, Leadership Excellence, Financial Excellence, Leadership Files and You the Leader. My great love is the local church. I believe she is the hope of our world today. When she functions in the power of the Holy Spirit and lives on the Word she will thrive. See you in Church! “wishes God would hurry up and buy our family a plane Dang it” – Rebekah Pringle, http://twitter.com/RebekahFaith, 11:53 PM Aug 20th from TweetDeck, 2010. Whether Rebekah was serious or not, Phil Pringle in C3 Church Atlanta attempted to get the congregation to buy him a jet… And he was dead serious. “… At least that’s from checking in, security and all that. So in a month that’s 48 hrs. In a year that is 2 days so that’s- that is 24 days a year. Twenty four days in a year- that’s almost a month a year I can save myself. Ok, so over ten years- over twelve years – that’s a year. In one year I have saved myself one year of my life. One year of my life is worth a whole lot more then what any jet is worth or anything like that so – amen! If you – would like to buy that jet [congregation starts to laugh] for us… This weekend – I don’t know what you’re laughing about. I’m serious. [More laughing] And you just go right ahead and slap that black amex down on some counter. And ahh… we’ll be flying, amen! Praise Jesus! 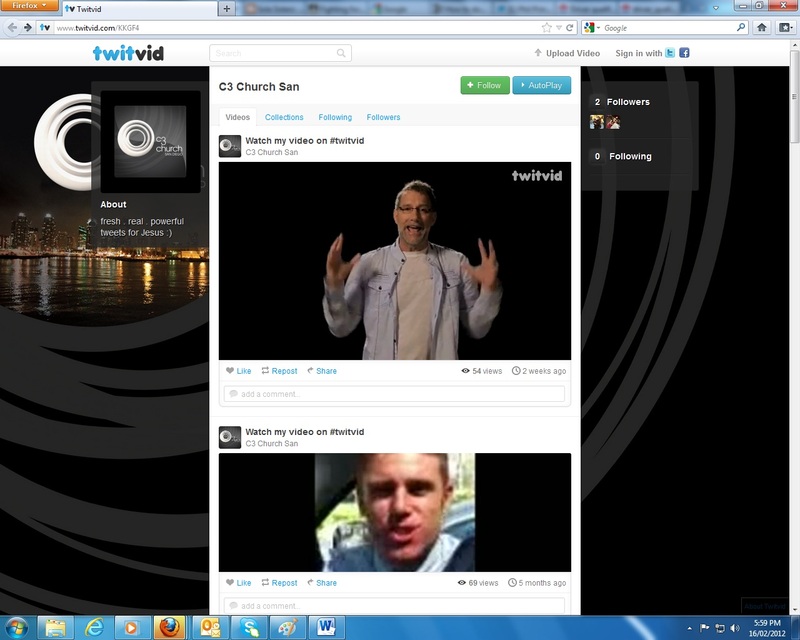 Ahaha!” – Phil Pringle, C3 Church Atlanta 8/8/10, http://www.ustream.tv/recorded/8802074, 08/08/2010. Later, Pringle promotes himself, his false 2020 Vision and starts speaking faith/prophecy. Read the rest of the transcript below. [Continued] “You know it is – It’s always a pleasure to be here. We have a vision of planting a thousand churches around the world so I have no hesitation playing videos and material that promotes our vision – what we’re doing. One of the great things we’re doing right now is an online college. We’ve just started three weeks ago and we already have five hundred students. 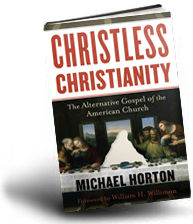 Now to plant these – another seven hundred churches in the next eight years – nine years, we need another seven hundred leaders, seven hundred worship leaders, seven hundred methodist administrators and ahh – oh just administrators will do. You know. And if we could have administrators like Jeff, song leaders like Joe, that would be phenomenal. But even moreso to have leaders like Dean Sweetman who was on the online college now. He’s our latest addition. I don’t know if you guys can play that for us now that would be great. Fantastic! So your pastor is featured in this. You can [go] on line college. You can do it at home on your own or as a connect group. Or as another group – maybe a good way to get people in to meet the Lord. New York City Church, our church in Time Square, is doing it. 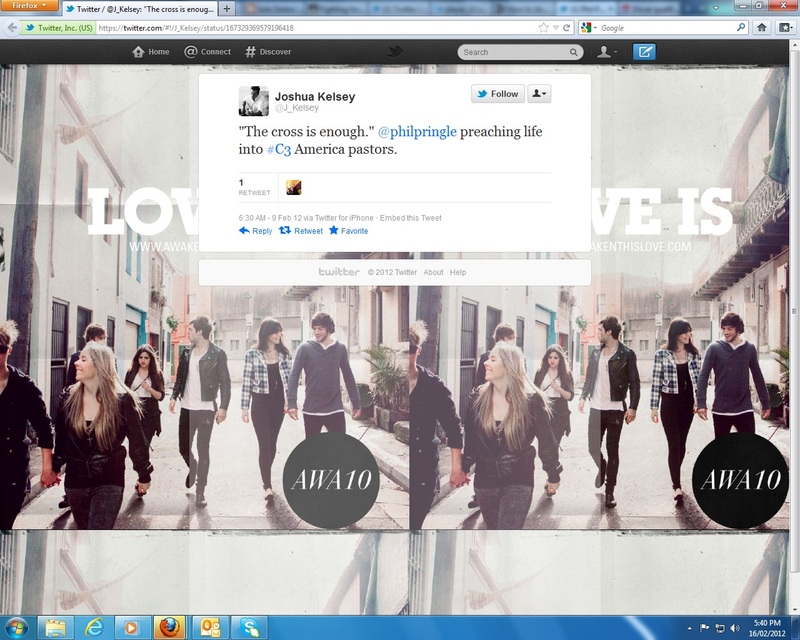 And they in their first week had, I think, two people come to Christ who were just attending the college. And so it can be used in all kinds of opportunities and ways that will really, really be a blessing. And a- so I’d encourage you to get a hold of that. Get a hold of my books and things like that. We’re about to start a church in Shang- ah! In Hong Kong! And ah, we probably will start in Shanghai as well. And ah- maybe you’ve got someone in Toronto you can send to help us out. Although they don’t speak French down there and ah – it’s alright! But we need to be starting churches everywhere and we’re sending people down to Hong Kong. And I’ve just had ‘You the Leader’ [Pringle’s Book] released in Chinese. So that’s a really good thing. Although you’d already know that if you were following me on Twitter. And so if you’re not, go ahead and sign up. We can all stay in touch. We can find out. It’s a connector. It’s just brilliant in staying in touch with one another. And I know you might be saying, “Oy yeah-roar-rru-roar” (plays an ogre) Get over that and just get on it! It’s a fantastic tool that God has given us to connect with each other all around the world and just to know what we’re all doing. It’s fantastic! And I love all technology that is helping us achieve those ends. There are gonna be some negatives but we don’t focus on those things. Amen! I’m gonna say this, ‘It’s like, even though I’ve been in Singapore last weekend, speaking to that church, (it’s not a C3 church); and I’m going from here to LA, (we’re speaking at C3 LA tonight- while doing a live painting); they’re going to Jakarta to a thing called the ‘World Harvest Conference’ which is a huge conference they have in Indonesia. And when I go to those places, I am like a guest speaker. It’s not really my show – it’s not my place. 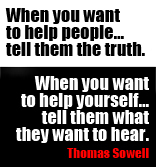 So to give- give leadership, is not what they’re looking for. They’re looking for ministry. And if you’re gonna be a leader, you need to have ministry. But the leadership is limited to a sphere of people that you lead. And you guide and you influence and you direct and shape the culture of that. So whenever I’m in one of our churches, I’m like – I just pick up that burden and cause that I am going to shape the culture here and feel like the pastor here for the day and uh – talk to you about where we’re going. Not that ah you know I need to announce where Dean is going and you’re aware of all that. But as the leader of our movement, I know that I need to be promoting our cause and keeping you on the same page as where we’re going so that we’ve all got one mind – we’ve got one purpose – one spirit. And the delight of dealing with Dean and Jill and the whole team here, is that everyone is so on the same page, we hardly even need to talk. We’ve just got the vibe and we’re going in the same direction. And so my job in coming into these situations is to be like that! Ken[?] and John called me the arch bishop the other night. But it’s sort of like that to present to you the over-arching culture and vision of where we’re going. And I really enjoy doing that. So I speak a little stronger. A little more cause and direction and leadership orientated, when I’m in our C3 churches. I want you to come to me to Deuteronomy 8:18, here this morning. And in the next thirty minutes, I would really like to be able to change your life for you. And if you’ll let me just tinker with your brain, I reckon I can do that- and I mean REALLY change your life. In your – in your world. And both in your domestic world and in your church world. And every time I’m in any kind of service, I’m believing for God to bring at least one miracle into a person’s life. And while you’re just sitting there, I am convinced that a miracle is going to happen in somebody’s life here today. The miracle I believe that will happen, is that you will get a house. And I would like to think that all of our people will own their own homes, amen! In Jesus name! And I know some of you would like a medical miracle. Well I’m believing God that can happen as well. But I really have a word that some of you hear today will go out of this place and you’ll buy yourself a house. You’ll have a house and you’ve always wanted a house and now you’re gonna get one, in Jesus name. Amen! – Phil Pringle, C3 Church Atlanta 8/8/10, http://www.ustream.tv/recorded/8802074, 08/08/2010. 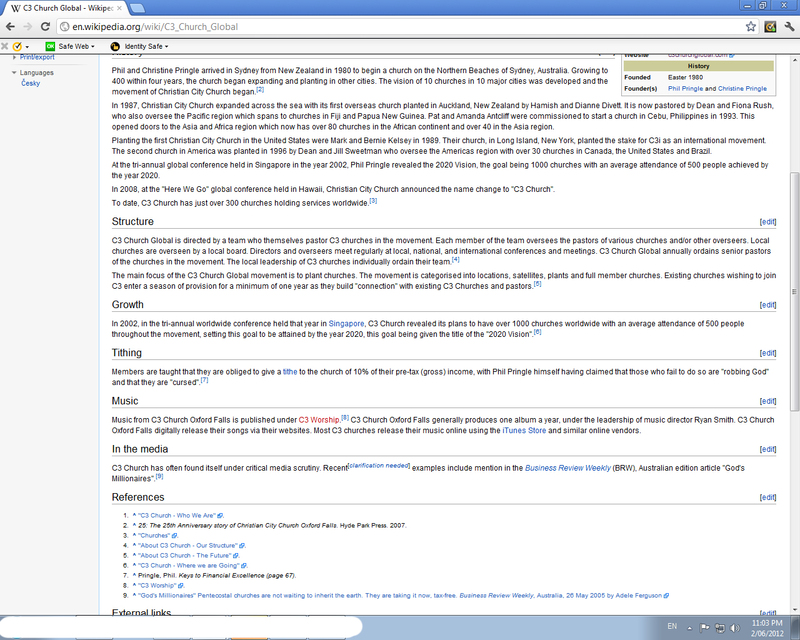 NOTE: ALL SCREEN GRABS WERE TAKEN BEFORE 19/01/2012. “As we launch into this part of the year – tax returns, all these other areas, finances become an important subject of the media and of our own lives as we try to tidy things up as we come to the end of the year, etc-etc. And especially in the Kingdom of God, it’s important that you and I have this area under control, that we understand what this is about. Because finances are important. I know that there’s this feeling sometimes, like Christians we intend to say well, ‘Well [shows disdain on his face] it’s not about money‘. And I agree, it’s not. But money’s not unimportant and I have a healthy respect for the power of money. And so did Jesus.” – Phil Pringle, Ps Phil Pringle: Financial Excellence Part 2, http://www2.myc3church.net/videos/ps-phil-pringle-financial-excellence-part-2, Sermon (PM), 22/05/2011. Rather than agree money is not an important focus for Christians to have, you will see in this sermon Pringle stresses the importance of money. A solid critique of this sermon will be up later this year.